Home - Knowledge Base - How Much Does Plated Cost? Are you a busy woman who has no time to cook every day? Or maybe a guy who’s tired of having lunch leftovers for dinner? Even if you’re none of the above, it’s always good when someone else goes to the store for you and buys all the groceries so that you can cook with no fuss at all. This is one of the many reasons why meal delivery services are a great choice for your dinners. And if you want to make sure that all the food you get is healthy and meets your dietary requirements, Plated may exceed your expectations. One of the first things that are crossing your mind right now is probably: how much does Plated cost? If that’s the case, you’ve come to the right place because we’re about to dissect Plated’s pricing policy and help you determine if it is the right choice for you. 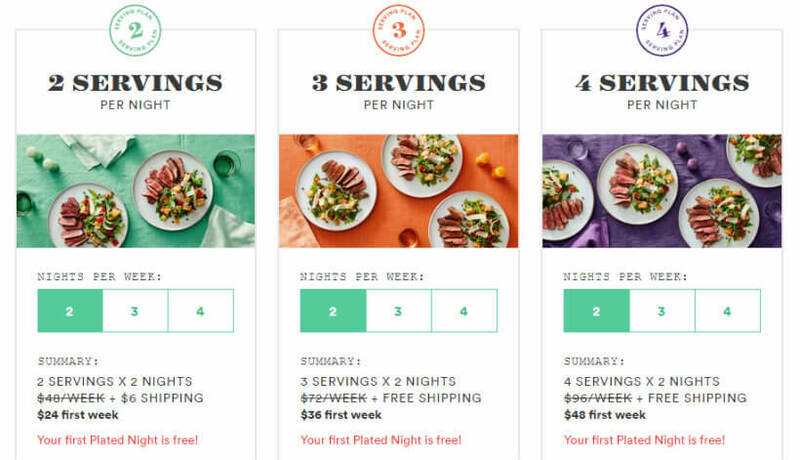 Plated doesn’t have meal plans per se; instead, it offers 20 dinner recipes each week and you can choose as many as you like. There are also two new desserts every week, which can be added to your order anytime. As for the cost of the meals, the first thing you need to know is that Plated charges its meals per plate. If you are cooking for 2, the price is $11.95 per serving. If you choose to have 3 or 4 servings per meal, you pay $9.95 per serving. If you order two dinners for two people, your Plated weekly bill will be $47.80. Three dinners for two are $71.70; four dinners for two are $95.60, and so on. It’s very simple to calculate how much your orders cost since the prices are fixed. We have even more good news: everything else is changeable. You don’t have to worry if your friends are coming over or if you have a big family. You can also take three or four servings per night and the price will be even lower than when you are ordering for just two. With Plated, shipping is free for all boxes over $60. As for making changes to your orders, you can skip a week or add/remove meals before your order has been processed. You can check the status of your order in your account. While Plated charges in advance, you will not have to pay for anything until it starts preparing your food. After that point, you cannot alter your order anymore. Should I Spend My Money On Plated? If you’re wondering whether meal deliveries are worth it, you can find more about their advantages here. When it comes to Plated, you get healthy, hormone-free food of the highest quality. The variety of recipes is amazing and there are dishes for everyone, from omnivores to vegetarians and those allergic to gluten. 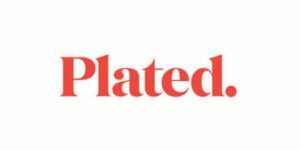 Plated offers you a chance to change your mind about your order whenever you want and make a meal plan on your own, according to your personal dietary preferences. 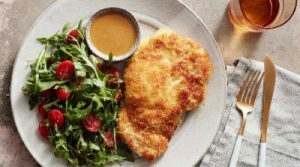 Not only do those delicious meals from Plated come at reasonable prices, they’re delivered directly to your home. What more could a person ask for?